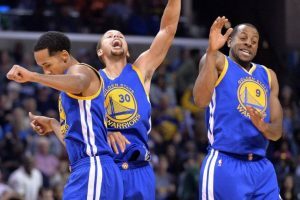 Learning how to accurately predict the winners in an NBA basketball match is not easy, however, there are ways to go about this. First, you will need to learn the basic odds and betting options. You will also need to learn about the game itself, the more information you have about all aspects of the game, the higher your chances will be of predicting the winners. You will need to learn more about the players, their history, the teams, captains and much more. The more knowledge you have, the more equipped you will be to predict the winners. One of the rules to predicting the winners of basketball matches in NBA is to fade the big favourites. This means that as a general rule, it is best to avoid the favourites, this is because in the sport of basketball, they tend to be overvalued and exaggerated due to the hype of media and fans. There are also many things which can go wrong when a team is north of a ten point chalk against the NBA point spread. One of the ways to make money and predict winners is to bet on the underdogs. Now, this does not mean betting on the smallest underdogs but rather on the more medium sized ones, if you can pick like this and predict, you may make some genuine hard cash. Although, home court advantage still matters in terms of matchups and times of fatigue, but you will be surprised at how strategic this can be. Remember that anything can happen and if you want to predict the winners, you will need go by the same token be able to identify the losers. If you want to really shoot high then hang out with professional NBA basketball gamblers, who can show you exactly what to do. Learn from their experience, tricks and tips.